I only want to see titles in my search that have street dates between July 2010 and October 2010. 1.Search by a keyword in the SmartBrowse search box. 2. Make your selection in the search summary. 3. 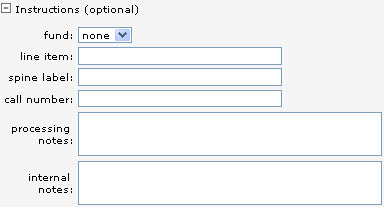 Click Filter Criteria box. 4. 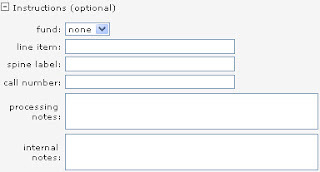 Click the Released Between radio button and select the month and year restrictions from the drop down menus. 5. Click filter in the bottom left hand corner to find your results. I want to make a display about animals featuring the newest best selling titles. 1. Select Top 100 Best Selling from the search summary. This will pull up Audiobooks, Blu-rays, CDs, DVDs, and Playaways in your search results. 2. In the filter criteria box, select new releases in the last six months and future releases. 3. Click filter in the bottom left hand corner to find your results. I want my search to contain only full-screen DVDs that street between July 2010 and October 2010 with a rating of PG-13 or lower. 1. Search by keyword in the SmartBrowse search box and make your selection in the search summary. 2. Click the Filter Criteria box. 3. Set the released between restrictions to suit your requirements. 4. Select exclude videos rated beyond. Choose the PG-13 rating from the drop-down menu. 5. Select include only full screen video products. 6. Click filter in the bottom left hand corner to find your results. I want to update my rap/hip-hop CD collection with the newest titles, but I don’t want any CDs with parental advisories. 1. Select Most Recent 100 from the search summary. 2. In the filter criteria box, select exclude music with explicit lyrics. 4. Change your mind? Selecting the filter off button will quickly revert your search. I want to update my collection of romance audiobooks, but I am only interested in the unabridged versions. 2. In the filter criteria box, select exclude abridged audiobooks. 4. Remember, you can sort your results further by clicking the column headings. For example, click Released to sort your results in chronological order according to release date. Once you are satisfied with your search results you can easily add all the titles to SmartCart where you can add branch distribution, adjust quantities, and apply funds. 1. Click Add to Cart. 2. Click the (+) to expand the instructions options. Here you can customize your order. 3. Select use these choices to add every product in the list and then click Add. These are just a few examples of how to use filters to narrow your SmartBrowse search. This concludes our SmartBrowse Series, but look for our upcoming series about using SmartCart. You can also look forward to our Collection Development tools series, which will feature posts on our Calendar, New Release Panel, Cat2Cart, and QuickLinks. In the meantime, play around with the SmartBrowse filters and share your thoughts and experiences here as comments.